One of the best things about visiting Slovenia is the overwhelming number of diverse sights packed into such a small area – one of the country's previous tourism slogans was 'Europe in miniature', which was and still is an apt description. A 45-minute drive from Ljubljana is enough to reach the Mediterranean in the west, the Alps (or even the Austrian border) in the north and countless interesting countryside destinations to the east and south. However, one thing that is unfortunately not so great about Slovenia is its public transport network. While buses and trains do cover the majority of the country, even direct connections between Ljubljana and larger towns often take two to three times longer than going by car, and services greatly reduced or even non-existent at the weekends. 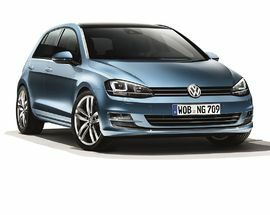 This makes renting a car by far the best option for seeing the most places in the least amount of time. Instead of visiting one town by bus, you can visit an entire region, and spend less money doing so. For those who are generally wary of driving in foreign countries, there's no need to worry, Slovene roads are generally in excellent condition and places of interest are well signposted. The region of the Slovenian Alps, known as 'Gorenjska' in Slovene, officially begins some 20km to the northwest of Ljubljana, comprising some of the country's most beautiful scenery and tourist destinations. 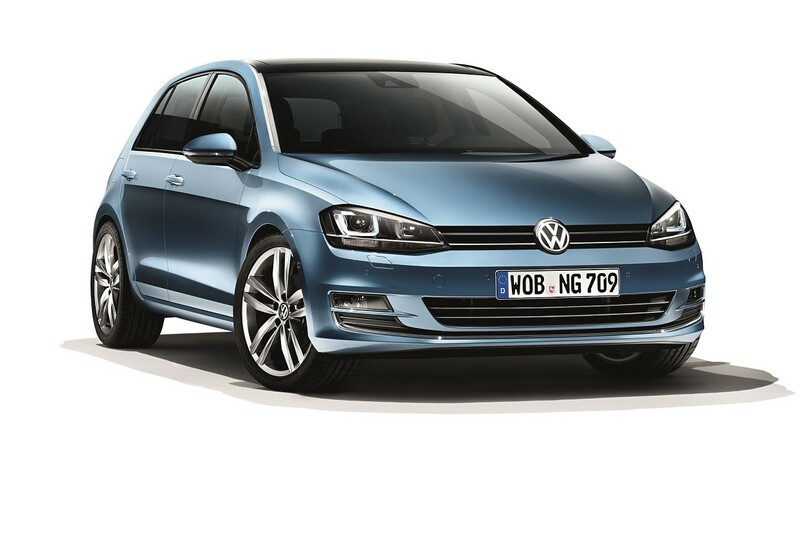 The drive itself, even along the motorway, offers spectacular views of snowcapped mountains, as well as countless picturesque villages and hilltop churches, and the spring is the perfect time to visit, as you can enjoy the lovely weather before the summer rush arrives. While most short-term tourists head straight for the famed town of Bled, to catch a glimpse of its 1000-year-old castle perched atop a lakeside cliff and island-bound church sitting in the middle of the lake, there are more than enough other points of interest to keep you busy for a busy day trip, weekend break or longer excursion. 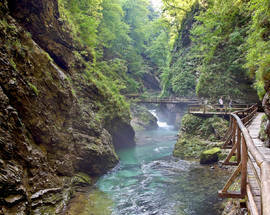 Highlights include: Lake Bohinj and the Vogel View Point in Triglav National Park, the spectacular Vintgar Gorge, the 'Honestly sweet' sights of Radovljica, the WWII-era tunnels under Kranj's old town, Tito's former castle residence at Brdo Pri Kranju, the medieval town of Škofja Loka, the rural settlement of Jezersko in the Ravenska Kočna valley, the mysterious post-WWI concrete bunkers known as Rupnik's Line, and the Cultural Heritage Path following the footsteps of several famous Slovenes in Žirovnica. 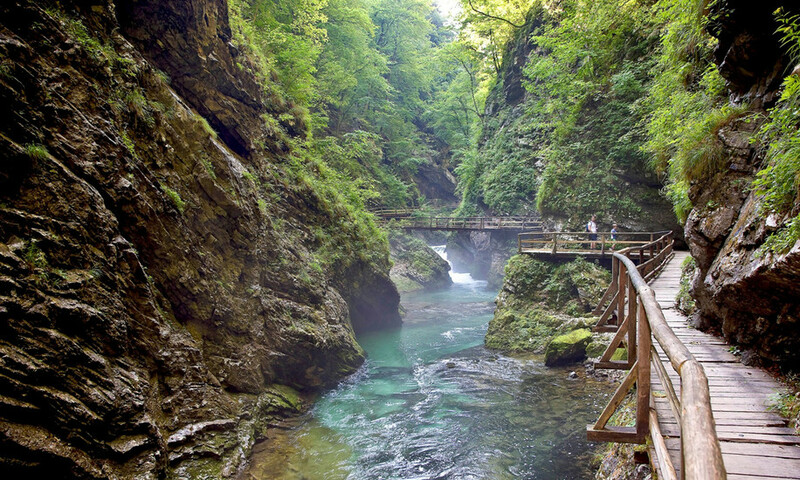 Just a short ten-minute drive north of Bled, you can find one of Slovenia's most impressive natural attractions – the spectacular Vintgar Gorge, where the turquoise waters of the Radovna river have carved their way through the rocky landscape for some 1.6km. In the spring and summer months the entire area is covered in green foliage, making the views from the winding wooden pathway all the more photogenic. 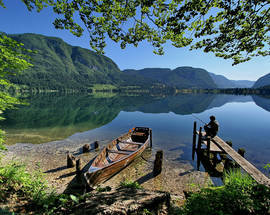 A 30-minute drive west of Bled will take you to the shores of Lake Bohinj in Triglav National Park. 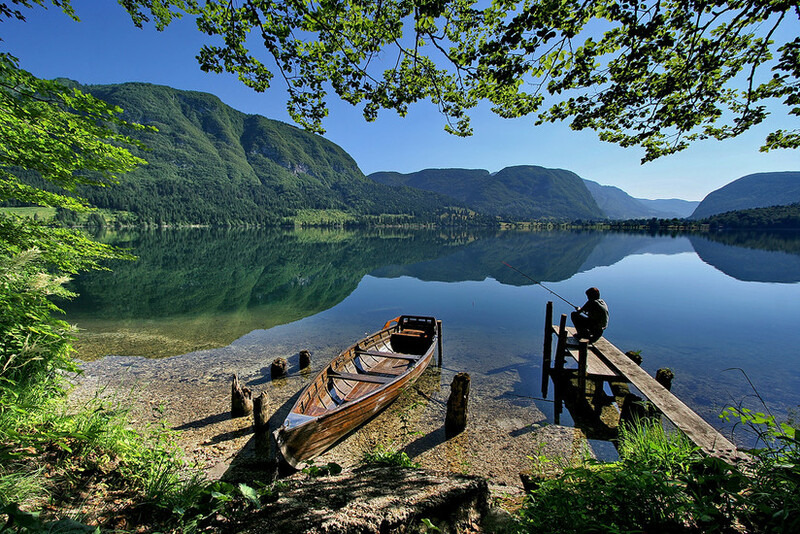 Arguably Slovenia's most breathtaking body of water, the best views of the area can be found at the Vogel View Point, accessible by cablecar from the small village of Ukanc at the lake's far western side. For those more interested in visiting typical Central European medieval towns, the region also has plenty to choose from, each with their own unique offerings. 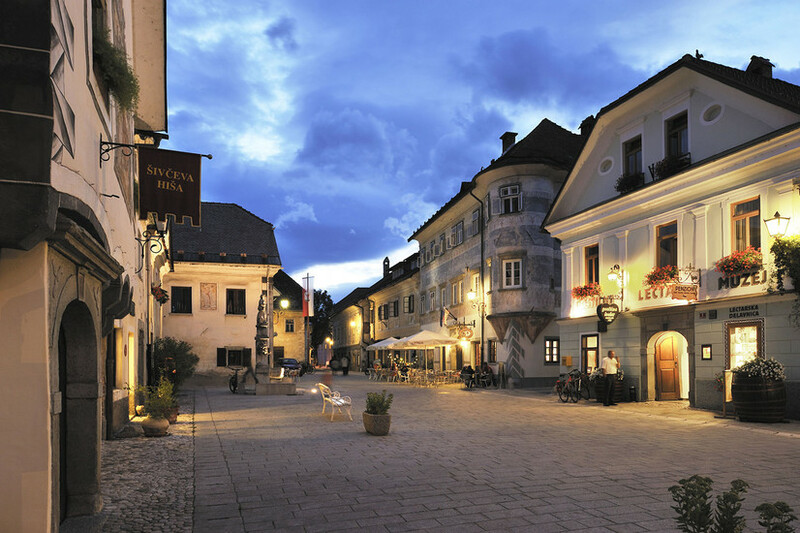 Nearest to Bled there is Radovljica, whose motto 'Honestly sweet' accurately describes the reception you'll get from locals as well as the town itself, which boasts an intriguing beekeeping museum and hosts its annual Chocolate Festival on 17 April this year. 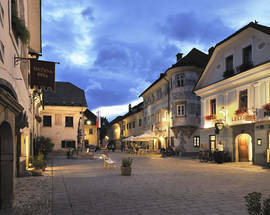 With more than 50,000 inhabitants Kranj is the largest town in the region, but it also has a fine old town, underneath which lies some 2km of WWII-era tunnels that can be visited on a guided tour. Tucked away at the foothills of the Alps a short drive north of Kranj is the magnificent Brdo Pri Kranju estate, the highlight of which is the castle that long-served as one of Tito's favourite residences. 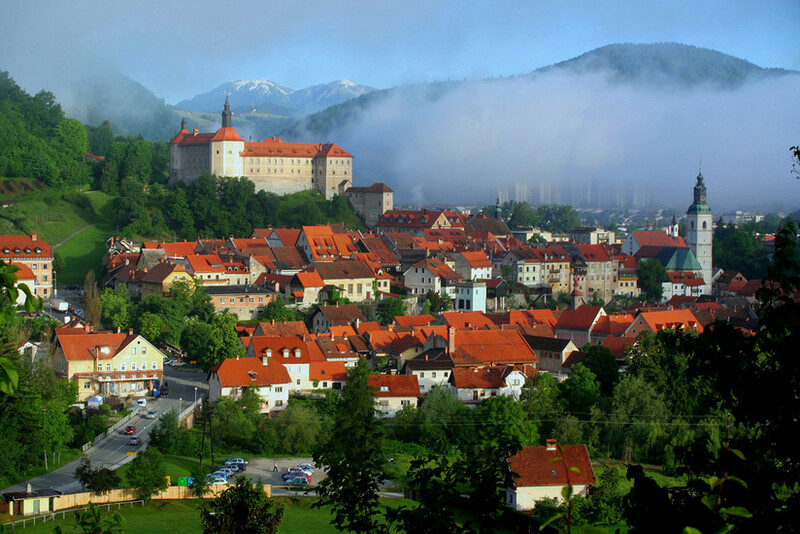 In the hills to the west of Kranj, is one of the oldest settlements in Slovenia, the picture-perfect medieval town of Škofja Loka. The town's imposing hilltop castle is now home to an impressive museum, and it's well worth engaging a local guide to discover its other sights. Elsewhere in the region you can follow in the footsteps of the more than a half dozen notable Slovene personalities who were somehow all born in the immediate vicinity of the village of Žirovnica, including the most revered of them all, the poet France Prešeren. Further to the north, the town of Tržič is often referred to as the Venice of the Alps, however, its most visited attraction is one of the region's more sombre sights: the Mauthausen Memorial Park, dedicated to the only concentration camp on Slovene territory. For much more information on all there is to see and do in the Gorenjska region, visit our website or download a free PDF copy of our Slovenian Alps In Your Pocket guide.